To commemorate the death of her twin sister, Sbu Myeni created the Dr. Seni Myeni Foundation of Hope. The foundation's goal is to help orphaned girls in the village of KwaNyuswa in the Valley of 1,000 Hills in South Africa where the Myeni sisters grew up. 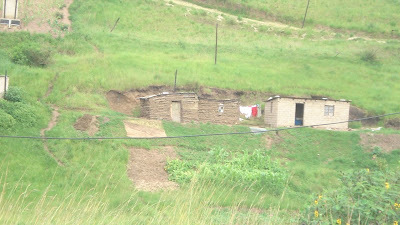 KwaNyuswa is a semi-rural village outside Durban. Although they lived during the apartheid regime and were surrounded by poverty and HIV and AIDS, the sisters excelled. The foundation has found its first two students: Nqobile Nzama and Ntokozo Gcwensa. I recently interviewed Sbu Myeni about the girls. Here's the story of Nqobile Nzama. Nqobile Nzama's mother died in 2006. 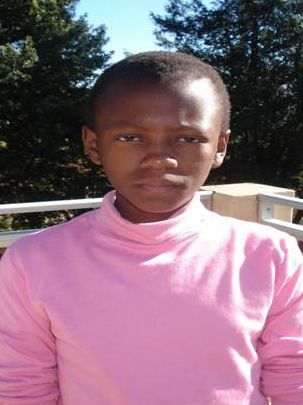 Nqobile is now 13 years old and is in grade seven. Her gogo (or grandmother) is raising her along with two cousins who are also orphaned. Their corrugated iron shack leaked every time it rained. Neighbours intervened and with the help of the Hillcrest AIDS Centre Trust, they gathered enough building material to build a two-room shelter. In June 2010, Nqobile was the best student in her class with a grade average of 83.9%. She attended what was considered to be the worst school in her community where there is a low-graduation rate and limited options for its students. Nqobile's grandmother couldn't afford the R260 South African Rand (or $39.10 USD) for the annual tuition for a better school. The Dr Seni Myeni Foundation of Hope enrolled Nqobile at Inkamana High School, a private Catholic boarding school in Vryheid. It's one of the best schools in South Africa with a 100% Matric pass. The fees are approximately$2500 US per year and the fee includes tuition, board, meals, uniform, school supplies and transport. "This has been a life changing experience for Nqobile," says Sbu Myeni. "Her teacher told us that getting an opportunity to attend such a prestigious school changed Nqobile's outlook altogether and boosted her confident significantly. She has made many friends and is focused on being the best student amongst her peers at her new school." Inkamana High School is where Seni Myeni, the namesake of the Dr. Seni Myeni Foundation, attended school. Nqobile aspires to become a teacher one day.